RIVERDALE, Md. — The United States Department of Agriculture’s Animal and Plant Health Inspection Service confirmed, June 13, an additional case of virulent Newcastle disease in backyard exhibition chickens in San Bernardino County, California. This confirmation brings the number of cases confirmed in California to 14. All have been backyard flocks. A complete list of confirmed cases is available at www.aphis.usda.gov/animalhealth/vnd, as well as additional information about biosecurity. 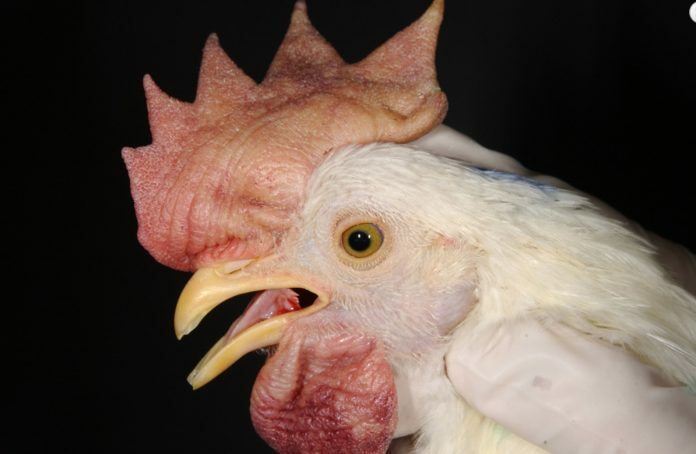 Virulent Newcastle Disease is a contagious and fatal viral disease affecting all species of birds. It is one of the most infectious diseases of poultry in the world and is so deadly that many birds die without showing any signs of disease. A death rate of almost 100 percent can occur in unvaccinated poultry flocks. It can infect and cause death even in vaccinated birds. In very rare instances, people working directly with sick birds can become infected. Symptoms are usually very mild and limited to conjunctivitis. Infection is easily prevented by using standard personal protective equipment. Samples from the flock were tested at the California Animal Health & Food Safety Laboratory System. The APHIS National Veterinary Services Laboratories in Ames, Iowa, confirms all findings. APHIS is working closely with the California Department of Food and Agriculture to respond to the finding and to conduct an epidemiological investigation. Federal and state partners are also conducting additional surveillance and testing in the area. In addition to practicing good biosecurity, all bird owners should report sick birds or unusual bird deaths to state and federal officials, either through their state veterinarian or USDA’s toll-free number at 1-866-536-7593.